Social services that work to place homeless people in long-term housing and living wage jobs in Allegheny County are getting a boost from recent grants totaling more than $18 million. “The money is used for housing but also allows us to provide services that help women address the root causes of their homelessness, and it’s our goal to help them develop skills so that they remain stable once they leave Bethlehem Haven,” said Tom Herward, Bethlehem Haven board president. Bethlehem Haven, a social service agency for women located in Uptown, received nearly $500,000 in this round of HUD grants. 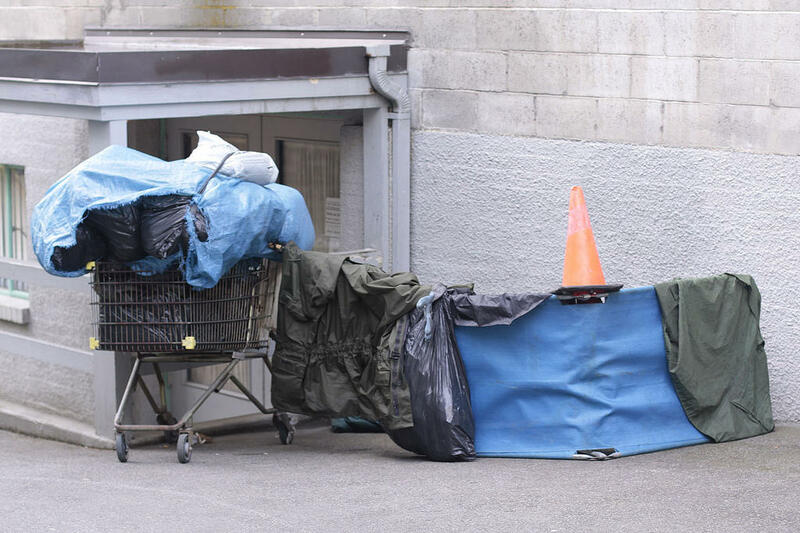 According to the Allegheny County Department of Human Services, the most recent data from January indicates there are 1,156 homeless people in the county. That number includes people living on the street, in emergency shelters, long-term shelters and individuals in transitional housing, which can last up to two years. Herward said Bethlehem Haven houses, on average, 102 women. The entry point for most of their clients is through the emergency shelter and according to Herward, many move into transitional housing. Helping clients find employment and live independently is a common goal of the agencies working with the homeless whether they are veterans, young adults who have aged out of the foster care system or former inmates. Goodwill Industries of Southwestern Pennsylvania has been working with Allegheny County Jail officials and the Department of Human Services for 16 years to offer job training and help ex-offenders find living wage employment. Eric Yenerall, Goodwill’s assistant vice president for program development, said its HARBOR program, which stands for Helping to Alleviate Reentry Barriers to Offender Reintegration, evolved a couple of years ago from its workforce development services. “It’s one thing to get people a job, it’s another thing to keep them in a job which is the biggest challenge," Yenerall said. "And housing was part of basic rights needs but it became such a big deal because it was tripping so many people up." The HARBOR program received a $376,000 HUD grant. According to Yenerall, 80 percent of that will go to reimburse landlords for proving housing to the ex-offenders who themselves must put 30 percent of their gross income toward their rent. Yenerall said its clients can remain in this transitional housing for up to two years, but he cautions HUD is moving toward a “rapid re-housing” approach. That means within three to six months, as soon as the former inmate is stabilized and has a job, the lease is transferred to him “and that opens up a spot” in the HARBOR program for someone else. He said the program has 50 housing units and “normally there is a waiting list. The grants are competitive and the agencies’ performance is assessed every year. “Both HUD and the county look at these programs, score the programs and if the results aren’t what they need to be, you stand the risk of not getting your funding renewed,” said Bethlehem Haven’s Tom Herward. He said the two key areas that are scored are success rates in getting clients employed and helping them to live independently. “We have a very high level of success; we’ve been at this for 30-plus years, but it’s an ongoing challenge," he said. A new daytime haven for homeless youth and former child welfare recipients in Allegheny County is experiencing its first successes. Since its soft opening on Jan. 26, the 412 Youth Zone has seen about 400 young people ages 16 to 24 come through its doors in the Wood Street Commons building downtown. Staff members said a core group of about 10 to 15 young people come in to the center every day it’s open. Once inside, they can take part in free services provided by the center and its 30 partner organizations – or just hang out. You've seen them — homeless veterans living in large cardboard boxes or shabby tents under a bridges and underpasses. But the clearest image might come from the narratives of and photos taken by the homeless vets themselves. When U.S. Air Force veteran Nadine Nowlin got into a major car accident in 2012, her entire life changed. “I lost my job, my apartment, my car and more importantly my health and my self-esteem, my dignity and my pride, because here I am homeless,” she said. Nowlin is one of the thirty female veterans to receive emergency housing through the Veterans Leadership Program of Western Pennsylvania’s Project Journey for Women over the last two years.